Florence Leather Market was established in Florence, Italy as a follow up to the ancient tradition of San Lorenzo market, perhaps the most famous tourist market in Italy and one of the eldests in Tuscany. 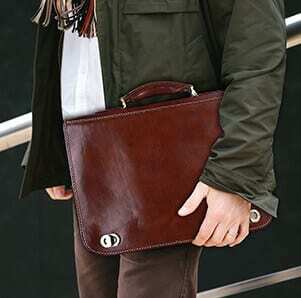 Our expertise encompasses hide and leather working as well as craftsmanship production of bags and wallets. Through Florence Leather Market online store we are now exporting our fashion products all around the world, online and at highly competitive costs. We deal with both retail and wholesale orders. Italian products have often been associated to elegance, quality, high differentiation and strong links to tradition. And not one of your buyings here at Florence Leather Market will disappoint such expectations. Each bag, briefcase, and wallet has been designed and handmade with A class leather to offer you an excellent product, refined in every seam and insert, at the best price. Beautiful and robust at the same time, our leather bags have become must-have, lovable accessories for all the women in the world. On Florence Leather Market e-store you can find a wide variety of handcrafted, genuine-leather goods. 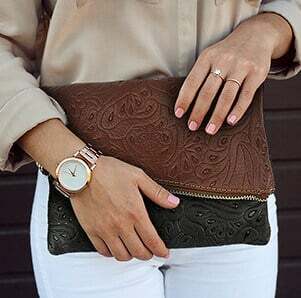 Our very own online boutique offers trendy bags and wallets both for work and leisure time wearing, so don’t miss out on any of our fashion accessories. From classy handbags to comfortable backpack purses and shoulder-crossbody bags; from fanciful pochettes and elegant clutches to timeless doctor bags and roomy shopping bags. Have a look at our products and special offers. There’s a perfect bag for any moment and occasion. We have no doubt that on our catalog you’ll find a purse that perfectly fits each of your special moments. Genuine leather in all the colors of the rainbow. Our craftsmanship allows us to offer our clients a wide variety of colors and shades. Fashionable or traditional, our bags will perfectly match and complete any of your outfits. Accessories are a girl’s best friend. Whether it’s a cocktail with friends, a dinner date or a business meeting, there is plenty of opportunities for you to stylishly stand up from the crowd. So, why don’t you wear one of our genuine-leather bags to be unique? Just check out our online boutique, choose the bags that really suit you and express yourself, every day. Our briefcases (both for men and for women) have been designed to follow and assist you on the most crucial moments of your working life. Style and robustness, elegance and functionality all at your hands.